Dodger Fanfest 2016 happened this past Saturday and I was lucky enough to have a day off and attend. This was the first time I have attended, what Nomo affectionally names "Linefest" so I didn't know what was in store. Seeing that there were about 25,000 people, you can imagine there were heaps of people going every which way. 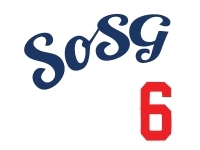 I think the Dodger organization did the best that they could, especially with the amount of fans attending. 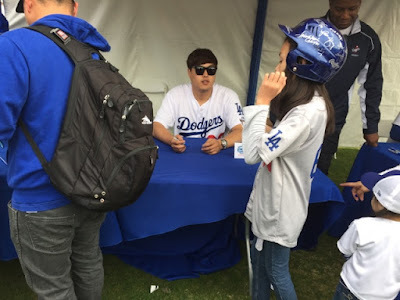 I really wanted to go because I wanted to meet Ryu. Shout out to fellow brother Dusty for getting me access! I had 4 autograph vouchers for the last 2 sessions. I took Mamma Cora to help me out. The lines were massive, but what I really enjoyed was talking with fellow fans. There was a woman in front of us who travels down from San Francisco for this event. She was lamenting that she didn't receive the All Star baseball from Ebay in time for Yasmani to sign it. Then the gentleman in front of her said, I have one, and I can trade you a regular ball for it. It was so cool to see. The lines moved fairly fast and they kept on time. I was able to meet Bill Russell and Brandon McCarthy. I told Brandon that his twitter game was "strong" and whether he was going to change his avatar any time soon. He said he was thinking about it, but since there were so many other players changing their avatar like his, he might keep it. Mamma Cora met Yasmani and Austin Barnes. 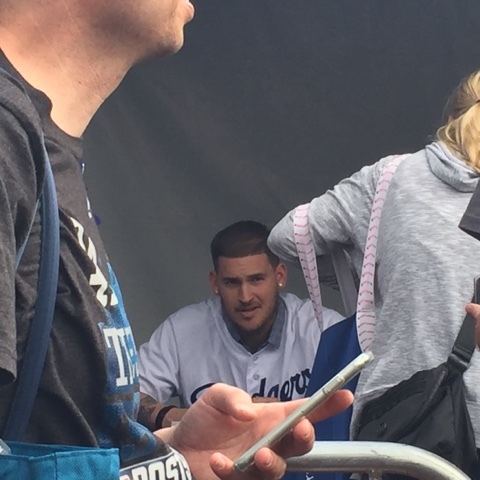 She told Yasmani that he was a "very handsome man" and he said thank you and turned to Austin and said "she better not tell you that too!" That was funny. Standing in line for session 6, Tommy drove by and was waving to the crowd after his on stage appearance. 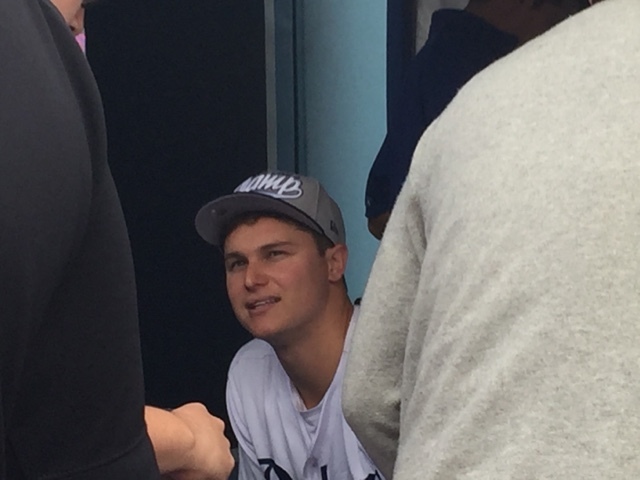 They seemed to use the visitor bullpen for media gathering and I saw Vic the Brick and Alanna Rizzo talking. Steve Yeager was also down there. 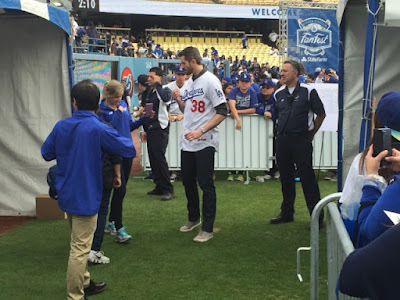 We got to talking with the people in front of us who attended the meet and greet with Kershaw. They said it was cool, but went by too fast! Greet, autographs, picture, out. But they said he was nice as always. I finally met Ryu. 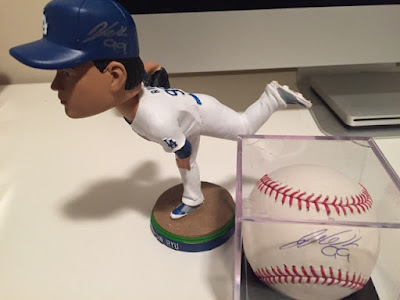 He was very quiet, but was nice and signed both my baseball and bobblehead. I got another Yasmani autograph as well - and if anyone wants to trade email me through the website! 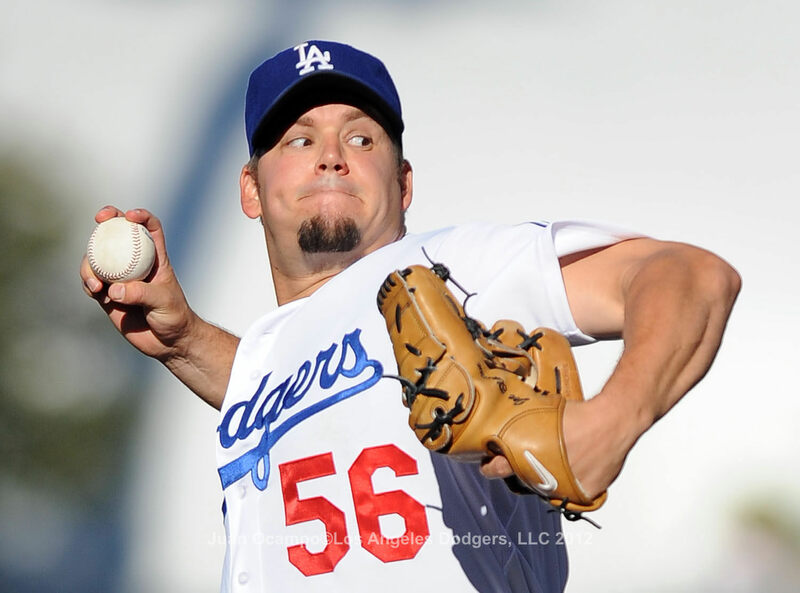 Yasmani also said that his rehab is going well. Mamma Cora also snapped some great pictures, especailly of our new skipper. He apparently was very gracious and when she asked Bob Geren where he was going to be sitting in the dugout, Dave interjected "Right next to me!" Love the rapport. I also spent 40 bucks on a "mystery bag autograph" and pulled a Jimmy Rollins baseball. 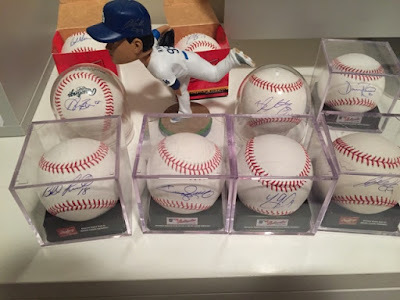 Of all of the autographs, I really like Dave Roberts and Jimmy Rollins because they are legible. Overall, it was a nice time to visit the park. Since we were there towards the end of the day, the crowd started to thin and we were able to "run the bases" (more like stroll) and lie down on the grass. 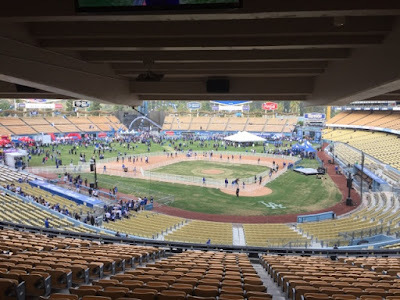 I wandered up to the lodge level and checked out my new mini plan seats (thanks Bryce from Dodger ticketing!) and was pleased by the location. I liked the event in that it got my baseball "its a new year" energy flowing again. Can't wait for opening day!!! Go Blue! 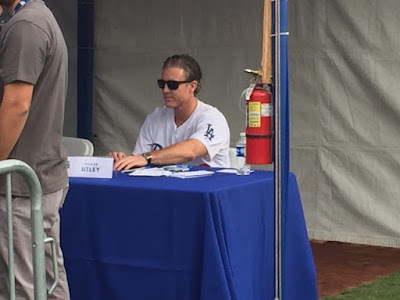 Today was Fan Fest at Dodger Stadium. 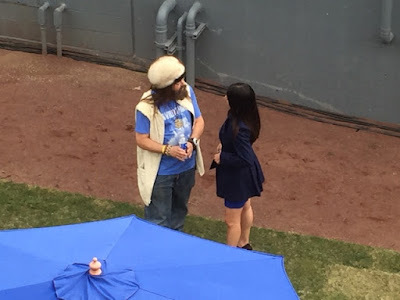 SoSG AC and Nomo were in attendance, so we may get a post or two about their experiences. 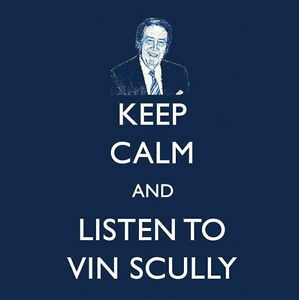 But one bit of news that came out of the event today was about Vin Scully's plans at the end of the upcoming season. 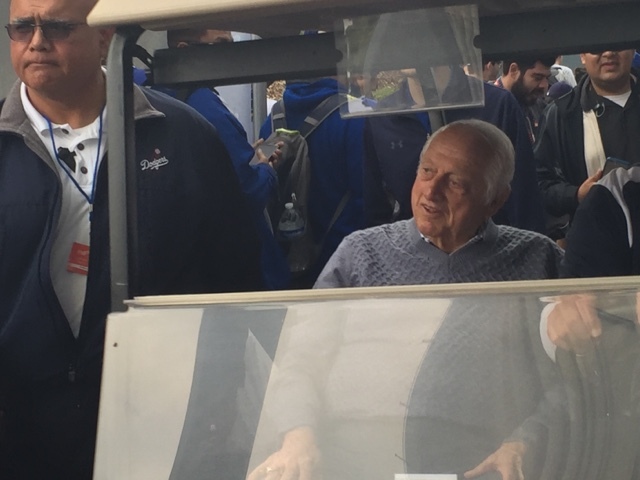 Today Vin noted that he was open and wanted to call our last game of the season on October 2 in San Francisco. 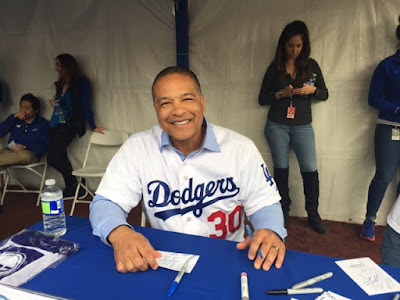 Our last home game is on Sunday, September 25th (yours truly will be there, crying like a schoolboy), so the idea that Vin could go up to SF and call the last game of the season and of his career there, giving us some added Vin bonus, is more than welcome. Every second counts at this point. UPDATE: In fact, sounds like Vin wants to call some road game in San Diego and Anaheim this season, too. 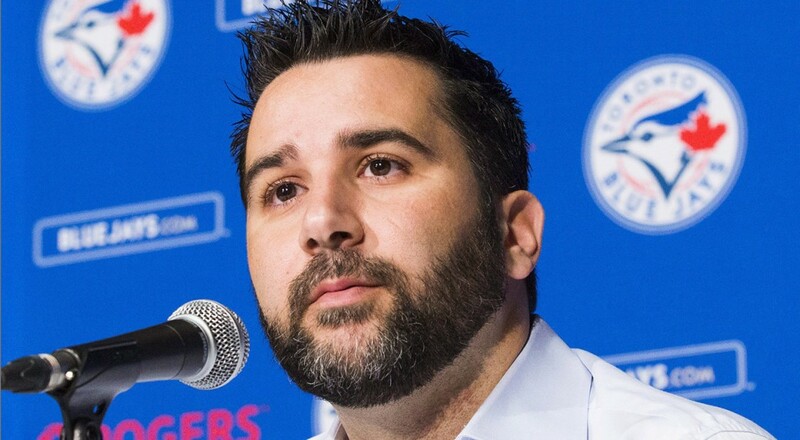 At least the Dodgers are building an all-star front office, right?